The Mission neighborhood of Carmel, offers single family homes as well as condo and townhome living. The neighborhood is bordered by Carmel Valley Road to the north, Rio Road and the Carmel River to the south, Val Verde Drive to the west and Highway 1 to the east. Rio Road runs through the heart of the neighborhood and is main thoroughfare connecting you to the Crossroads Shopping Center. Here you will find convenient shopping from Safeway and Starbucks to popular dining spots like the Rio Grill, as well as numerous unique local stores. The Carmel Post Office is on Via Nona Marie as well as the Carmel Clocktower, where you will find the offices to various real estate and financial institutions. The Monterey County Convention Center is a feature of this bustling neighborhood as well. Another fixture of the Mission neighborhood is the Barnyard Shopping complex. This fabulous outdoor shopping and dining spot offers beautiful landscaping to enjoy as you sip a coffee from the Carmel Valley Roasting Company or after a leisurely breakfast at From Scratch restaurant. The Barnyard offers a great selection of clothing and jewelry stores, salons, specialty gifts, even homemade chocolates, and is a pleasant sunny place to meet friends for window shopping or a bite to eat. You can also take advantage of the Farmers Market held here and enjoy healthy local veggies, fruits and fresh flowers. The Mission neighborhood is full of convenience with its abundant shopping, dining and business resources, its close proximity to the Highway, and is very reasonable in terms of value for Carmel real estate. Homes in the Mission neighborhood tend to be older ranch style homes, often with decent sized yards for enjoying outdoor living. 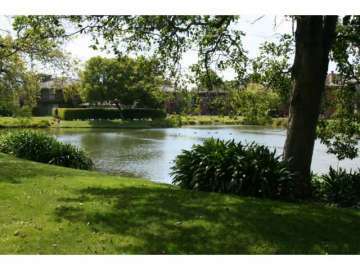 The complexes of Arroyo Carmel and Redwood are both located on Rio Road and are in close proximity to the Carmel River. Residents of the condominium complex of Arroyo Carmel enjoy amenities such as a swimming pool, spa and tennis courts as well as a lakefront views. Located right next door to the Crossroads Shopping center you are an easy walk to wonderful shops and restaurants. Riverwood townhomes are also situated on Rio Road and have greenbelt views, fireplaces, garage parking and a swimming pool. Click here to preview all Carmel homes for sale in the Mission neighborhood. For all available Carmel real estate, click here. 14 homes sold in this neighborhood in 2018. The most expensive home sold for 899K for a 3 bedroom, 2 bathroom, 1,378 SqFt turnkey home on a 6,600 SqFt lot. The least expensive home sold for 600K and was a 2 bedroom, 2 bathroom, 1,040 SqFt condominium. 19 homes sold in this neighborhood in 2017. The most expensive home sold for 920K for a 4 bedroom, 3 bathroom mission fields home with 1,834 SqFt home on a 6,400 SqFt lot. The least expensive home sold for 567K for a newly updated, 2 bedroom, 2 bathroom condominium with 1,040 SqFt of living space. In 2016, 16 homes sold in this neighborhood. The most expensive home to sell, sold for 988,600 for a 4 bedroom, 2 full and 1 half bath home with 2,127 SqFt of living space on .147 acres. The least expensive home to sell, sold for 528K for a 2 bedroom, 2 bathroom condominium with 1,040 SqFt of living space. 23 homes sold in this neighborhood in 2015. The most expensive home sold for 1.2 million and featured 3 bedrooms, 2 bathrooms with 1,972 SqFt of living space on 1.3 acres. In 2014, 17 homes sold in this neighborhood. The most expensive home sold for 869,100 for 4 bedrooms, 3 bathrooms with 2,208 SqFt of living space on .149 acres while the least expensive home to sell was a bank-owned 1,040 SqFt townhouse with 2 bedrooms, 2 bathrooms which sold for 420K. In 2013, 15 homes sold in this neighborhood. The most expensive home sold for 707K and was a 2,000 SqFt home on a 7,000 SqFt lot. The least expensive home sold in 2013 was sold for 400K and was a 1,300 SqFt townhouse. 16 homes sold in this neighborhood in 2012. The most expensive home sold for 630K and was a 2,036 SqFt 4 bedroom, 3 bathroom single family home situated on a 6,800 SqFt lot. The least expensive home sold for 355K and was a 2 bedroom, 2 bathroom townhome with 1,008 SqFt of living space. To live in the Mission neighborhood of Carmel is to enjoy great weather, an excellent location in terms of accessibility and convenience as well as all of the benefits of living in beautiful Carmel including the Carmel School District. Whether you are an owner of a single family home or a condo, you will appreciate the value of owning a home within the Carmel Community. You have total access to all of the outdoor activities on the coast and are a hop and a skip to Carmel-by-the-Sea for events and entertainment. Your close proximity to Carmel Valley Road is a special perk that will allow you world class cycling through the valley or simply a breathtaking drive to enjoy the rustic scenery as you wind through vineyards and ranches on your way to the village. The possibilities are endless!